Camera problem solved. The weather held off and it has turned into a beautiful day at Daytona Beach. 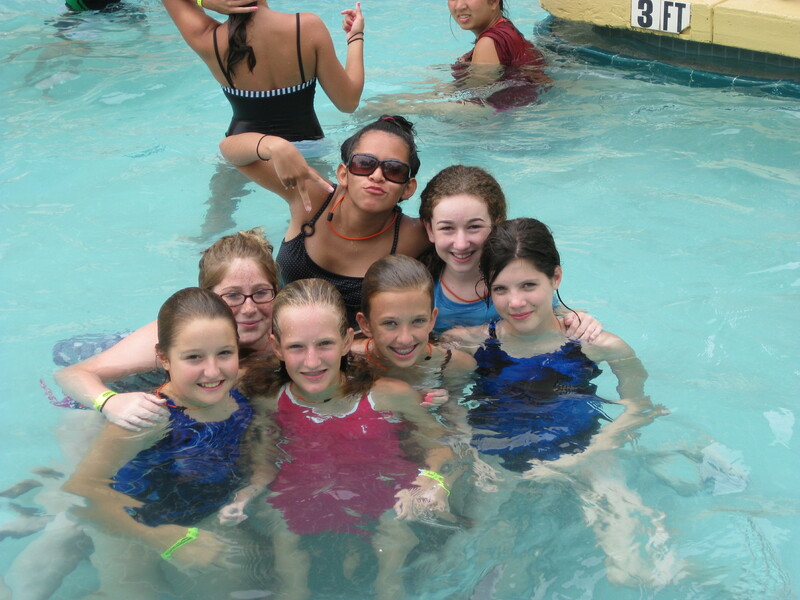 Here is a picture of some of our rising 8th grade girls enjoying the pool. Today the students were hit hard by Louie Giglio on what it means to carry the light of God in us. In fact at one point he said he does not believe most student groups even understand what it means to make a difference for Christ during their teenage years. He has been reading from a personal journal from a teenage girl and it is really convicting our students. I personally beleive Louie is one of the most annoited men of God that is speaking into the lives of students today. I pray that your student is soaking in the sun as well as what God is saying into their lives. Let me also say how blessed I am to be the leader of such incredible students and leaders. I’ll be taking some pictures at worship tonight and posting them for you to see. Thanks for checking in and for following us on Twitter. I know from some of the messages that you are praying for us in real time and that is making all the difference in the world.